April is the heart health awareness month. 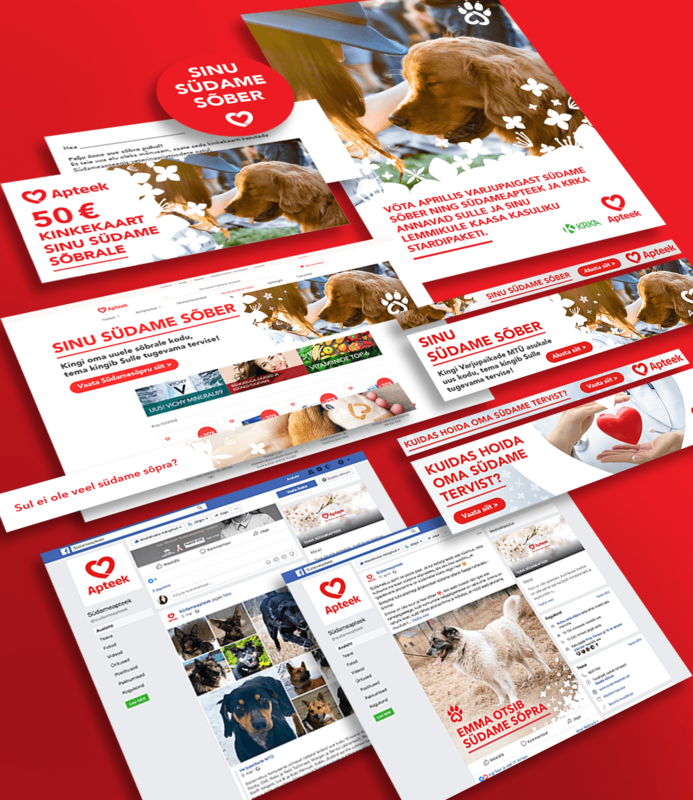 We made a campaign where Südameapteek collaborated with Varjupaikade MTÜ so people would adopt a dog. You have to walk Your dog every day and walking is good for you heart. Don’t forget about warmth of heart that comes as an extra.